I can’t believe I’ve been blogging for over a year and I’ve not written a post dedicated to the staple essential and my absolute favourite: pasta. A week doesn’t go by that this delicious and versatile foodstuff doesn’t appear on my meal plan. So it’s about time I did a roundup of my favourite vegan pasta recipes. One of the best pieces of advice I received when I first went vegan was to think of all my favourite meals, then find a way to veganise them. There are so many ways to make a delicious, easy vegan lasagne, with loads of options for the “meat” and plenty of ways to recreate the creamy sauce. My absolute favourite is this vegan lasagne recipe from BBC Food – it’s complex enough to make you feel like you’re not cheating (although let’s face it, who cares about that if it tastes good?) but simple enough to make for a weeknight dinner. Also it’s full of lentily goodness and lentils are my current favourite thing to cook with. This is a crowd-pleaser! My children love it, I love it, I assume my husband loves it but I don’t ask because I don’t want to stop making it. 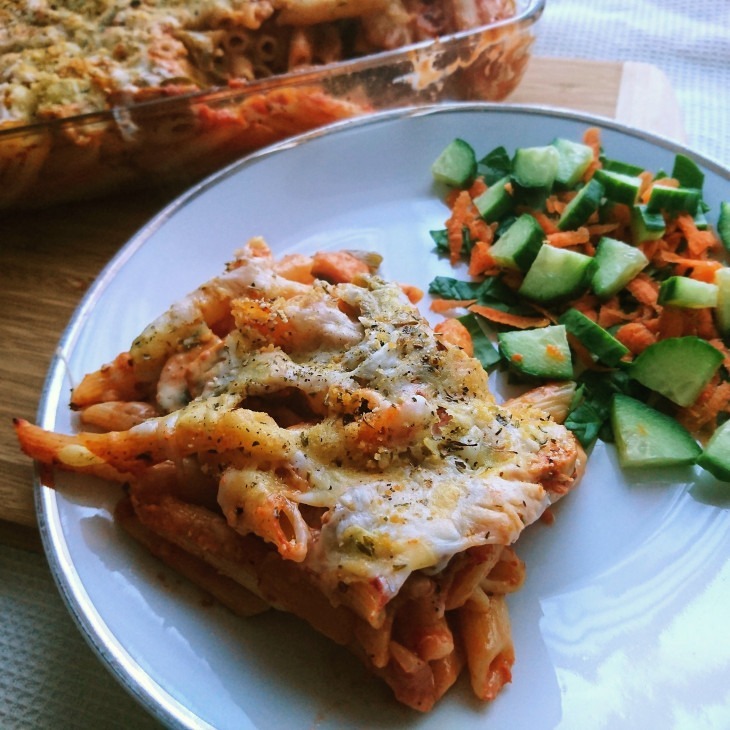 May I present the Cheesy Tomato And Vegetable Pasta Bake from Bethany’s Vegan Kitchen. Bethany is basically my vegan pasta recipe queen so have a look at her site for more ideas. Yay! Another lentil recipe, and it’s one of mine. This vegan lentil and hidden veg pasta sauce recipe aka lentil ragu aka vegan bolognese is absolutely packed full of goodness, tricks even the fussiest of eaters into eating a shed load of veg and tastes AMAZING. Tip: switch out some of the stock for red wine for an extra rich sauce. Believe me, as a lifelong macaroni cheese (to put it the proper, English way and not the lazy American way – sorry Americans but it’s true) lover, I have searched high and low for a vegan mac and cheese recipe that hits the spot in terms of rich creaminess, comforting warmth and general cheesiness. This vegan mac and cheese recipe from Cookie & Kate definitely does the job. Cashew cream is THE BEST for this kind of thing. Try it, you’ll love it. Vegan Carbonara To. Die. For. Absolutely no contest here, the Bosh! Mushroom Carbonara is AMAZING (as long as you like mushrooms of course). Serve with garlic bread for ultimate taste, and carbs. Now we’ve done the classics, I wanted to share a couple of slightly more, let’s say “out there” vegan pasta recipes. What do you reckon to these, would you try them or would you run a mile? Simple, quick and easy, and if you’re a Marmite lover, this is SURELY a winner (although my kids LOVE Marmite but hated this – they have no idea what they’re talking about, clearly). Thanks to Vegan Piece Of Cake for this vegan adaptation of a Nigella Marmite pasta recipe. OK so this isn’t actually that odd, but a lot of people don’t like the idea of it because the sauce is not actually cooked. I find I have to warm it through in the pasta pan a bit to make sure it’s not cold but otherwise this creamy vegan avocado pasta recipe from Oh She Glows is delicious, super-quick and well worth a try. 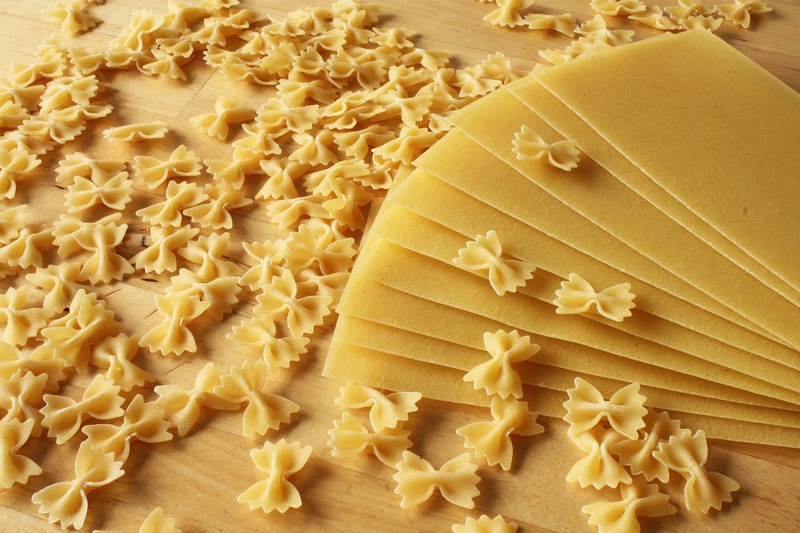 What’s Your Favourite Vegan Pasta Recipe? So there you have it, my top vegan pasta recipes. Do you have another favourite? Please share it in the comments below because I don’t think there’s such a thing as too much pasta, do you?